I started running some twenty something years ago, longer back than I really care to remember in many ways. And, like many aspiring runners, back then I had the urge to undertake a marathon, London of course. I lived in Aberdeen at the time. Weather was nice and cool. I was comfortably managing twenty miles in just under three hours, meandering along the old, disbanded railway tracks; through pine forests; along the North and South Deeside roads. 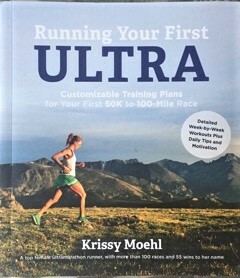 Training was beautiful, running, in fact, was a meditation for me. So one April all those years ago, I had conveniently managed to arrange a business trip to London to coincide with the big event. I turned up at the start that Sunday morning, keen to savour the throngs and the great spirit I would supposedly be encountering along the whole of the twenty-six point two miles. You will love the crowds I had been told – I hated them! Not long to go people were yelling, pints in hand at the 20 mile mark. Really! I still had to run another six miles, and I was already feeling crap. I wished that everyone would just disappear. 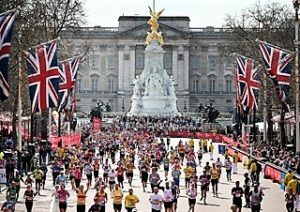 With even bigger crowds and Buckingham Palace in sight, four hours thirty minute was on the clock as I crossed the finishing line, a half-hearted attempt at a smile. I was devastated, had expected to finish in around three hours and forty-five minutes – maximum.. I felt awful, had drunk too much water the kindly ambulance man advised, a condition I now know as hyponatremia. As well as being advised that I would be adoring the annoying crowds, I had also taken to heart that I need to ensure that I kept hydrated, I shouldn’t have taken that advice quite so literally. I have been running on and off still over these last twenty years, particularly enjoying half marathon distance with reasonable performances. Last year, I was particularly pleased with a one hour fifty-one half at Hampton Court, a time not that much slower than my personal best. Given that I train a lot less, quite remarkable. So I just decided on a whim really to go out and prove, to myself as much as anything, that I can stay healthy and perform a fairly tough endurance task. I used to think that more was better. I didn’t have any clue either about nutrition, just thought less was better. But the biggest factor in sustaining performance for me has been about knowing about ‘proper’ breathing. All in all, I have worked out how to be so much healthier and, consequently, happier. I am now in the midst of week five of my twenty-four week training schedule – having a sensible schedule matters! 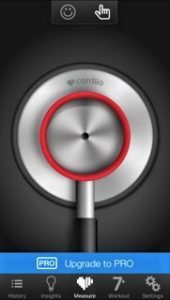 I ensure though that I check my resting heart rate on waking each morning, makes sense to listen and respond to how the body is feeling, no matter what the schedule says. And I follow a mainly low carbohydrate diet. 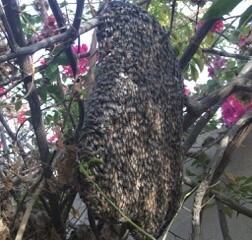 Oh and as an aside, saw this amazing hive absolutely alive with bees at friend Joanna’s place in Muscat. Amazing what nature can do – even in the desert.